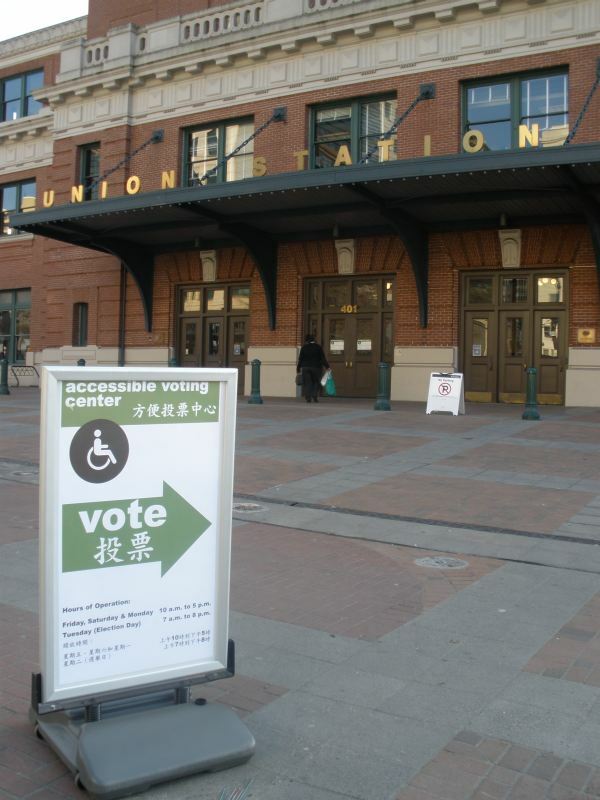 Voters with disabilities will have the opportunity to cast a private and independent ballot at an accessible voting center. The equipment at these locations provides audio and visual technology which allows voters with limited vision and physical disabilities to vote independently. 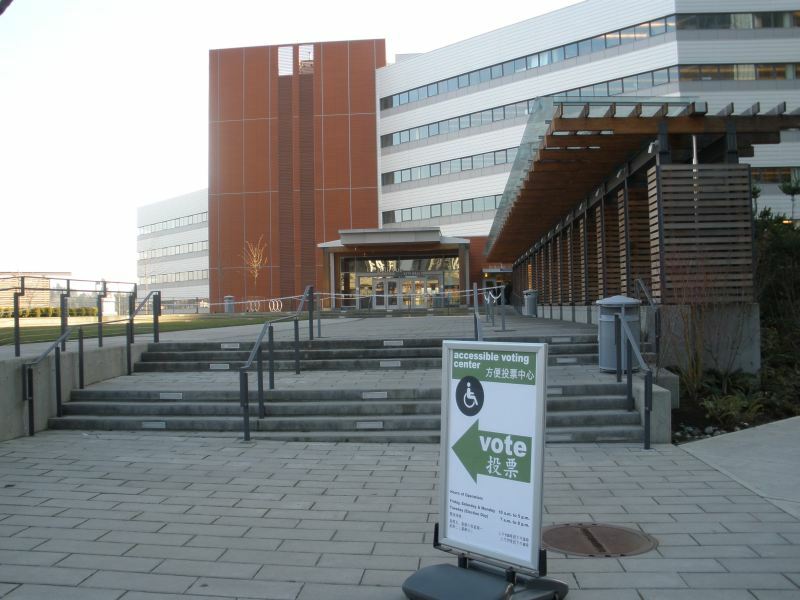 Tukwila, King County Elections, 9010 East Marginal Way S, 98108 ( Directions ) Weekdays, October 14 – November 2: 8:30 a.m. – 4:30 p.m. Saturday, October 31: 10 a.m. – 5 p.m. Tuesday, November 3: 7 a.m. – 8 p.m.
Bellevue City Hall 450 110th Avenue NE, Bellevue, 98009Friday, October 30: 10 a.m. – 5 p.m. Saturday, October 31: 10 a.m. – 5 p.m. Monday, November 2: 10 a.m. – 5 p.m. Tuesday, November 3: 7 a.m. – 8 p.m.
Seattle, Union Station 401 S. Jackson St, Seattle, 98104 Friday, October 30: 10 a.m. – 5 p.m. Saturday, October 31: 10 a.m. – 5 p.m. Monday, November 2: 10 a.m. – 5 p.m. Tuesday, November 3: 7 a.m. – 8 p.m.